Sulfur deficiency can substantially reduce yield in pastures on sandy soils in wet years, when the sulfate form of sulfur leaches below the root zone of pasture plants. This page is specific to high rainfall pastures (more than 600mm average annual rainfall) in the south-west of Western Australia. We recommend that you base fertiliser decisions on good evidence. Why do you need sulfur? symbiotic fixation of nitrogen by legumes: Rhizobia bacteria in root nodules use atmospheric nitrogen to produce amino acids and proteins. Soil organisms process organic matter derived from legumes to release (mineralise) nitrogen to the soil for uptake by plants and other organisms. Sulfur fertiliser requirements are higher on sandier soils because sulfur is more readily leached from sands. Pastures on leaching sands require about 15–20 kilograms per hectare per year (kg/ha/y) of added sulfur. In sulfur-deficient grasses, the young tillers are lemon-yellow and tiller growth is retarded. Ryegrass with tissue test results of less than 0.2% (dry weight basis) sulfur is highly likely to be sulfur deficient. Sulfur is more mobile in the tissues of sulfur-deficient clovers. 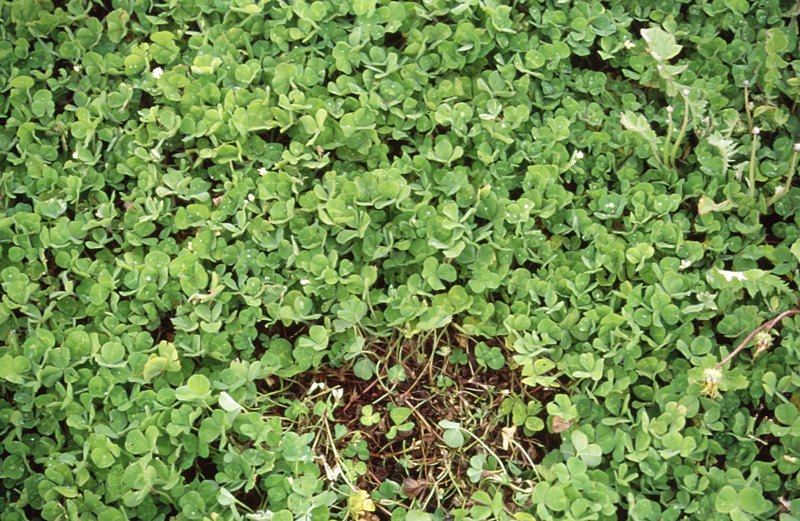 On deficient clover plants, young and old leaves are small and pale green to lemon-yellow. Without sulfur, legumes cannot fix nitrogen from the atmosphere. 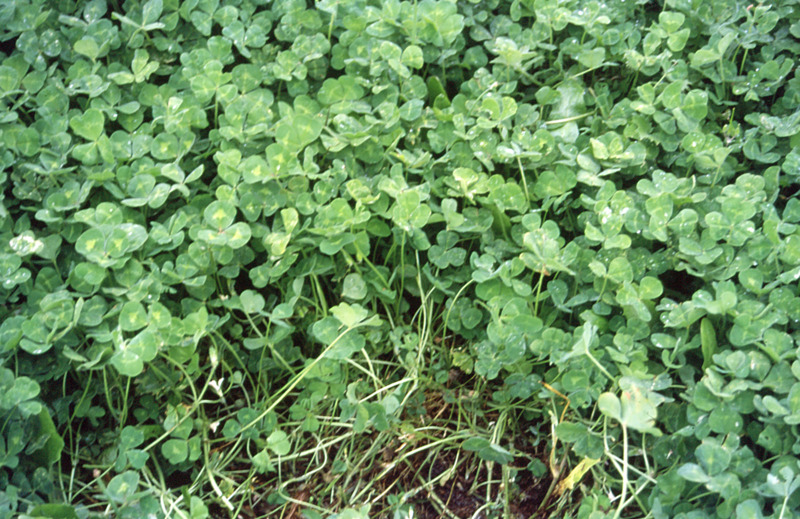 In severely deficient clover plants, leaves tend to fold and stand erect and stems may redden. Clover with tissue test results of less than 0.2% (dry weight basis) sulfur is highly likely to be deficient. Pastures with sulfur deficiency may appear slightly pale and fail to re-grow after grazing. Symptoms are vague and may require tissue testing to confirm deficiency. Sulfur deficiency is generally confined to high rainfall (more than 600mm average annual rainfall) pastures on sandy soils in wet years: the sulfate form of sulfur and potassium are leached below the root zone. Plant roots take up sulfur from the soil solution as sulfate which is retained (sorbed) by the iron and aluminium minerals or organic matter on the surface of soil constituents. If the soil is very sandy, the ability of the soil to retain the sulfate is limited and it can be leached below the root zone. Soil testing can overestimate soil reserves because the sulfur may have leached between the time of sampling in summer and spring pasture growth. Soil testing can also underestimate soil reserves if there is sufficient sulfur stored in retentive soil just below the reach of the sampler, where the plant overcomes deficiencies when the roots reach this layer. Soil samples are usually collected in summer when soils are dry and sulfhur test values are high. However, the KCl40 test measures sulfur in organic matter, and some sandy soils in permanent pasture with high organic matter can give a high soil sulfur result, but sulfur can be leached by spring if there is enough rain. In dry years, soils with sulfur test results greater than 6mg/kg will probably have enough sulfur in spring. In wet years, leaching in soils with sulfur test results less than 8mg/kg may mean that sulfur levels in spring will be deficient. If pastures in spring look pale or tissue tests show sulfur is low, choose one of the spring applications from Table 1. The amount of iron and aluminium minerals coating sand grains varies markedly across the different sandy soils found in the high rainfall areas. The deep grey sands are usually the most susceptible to leaching. The best measure of potential leaching is the phosphorus buffering index (PBI). Soils with a PBI below 35 may be subject to leaching of sulfur: sulfur fertilisers are applied as insurance to avoid leaching in a wet year. On soils with a PBI above 35, the pasture is unlikely to become deficient unless sulfur has not been applied for several years. The loam, clay or lateritic ironstone gravel subsoils of sandy duplex soils have larger amounts of iron and aluminium minerals exposed at their surfaces than does the sandy topsoil. Consequently, the subsoils have a larger capacity to sorb sulfate sulfur, and this may be available to plants. Sulfur taken up by plants, and ingested by animals grazing pasture and crop stubbles, is returned to the soil in organic matter (faeces): this breaks down in the soil over winter and slowly becomes available for plant growth. On sandy soils, leaching moves most of this sulfur below the roots by spring. When soils are cultivated or have been limed, organic matter is more rapidly broken down by soil organisms. Pastures on leaching sands require sulfur at about 15–20kg/ha/y, which can be supplied by a range of fertilisers. Selection will depend on the amount of leaching expected from the rainfall and soil type, the type of pasture species and if the site is too wet to access with spreading equipment in spring. Table 2 gives a guide and more information is below the table. Clover pastures on sandy soils that need sulfur commonly need potassium too. See potassium for high rainfall pastures for more information. Slower dissolving forms of sulfur fertiliser applied in autumn may be a safer option where trafficability in late winter or early spring is difficult. Applying sulfur fertiliser with no nitrogen fertiliser after July will benefit the clover but not the ryegrass because nitrate and sulfate sulfur will leach in wet years. If nitrogen and sulfur are applied, clover and ryegrass respond. 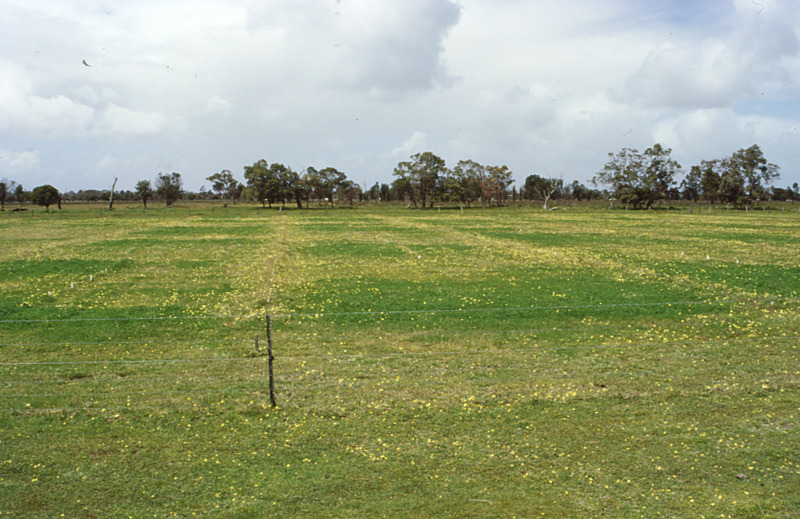 The choice of autumn and/or spring nitrogen and sulfur fertilisers depends on pasture yield, pasture species, and trafficability of paddocks in spring. Nitrogen and sulfur fertiliser can be applied after each grazing to ensure ryegrass production is not limited. A suitable mix is half urea (46% nitrogen, no sulfur) and half ammonium sulfate (21% nitrogen and 24% sulfur). This half-and-half mix contains 33.5% nitrogen and 12% sulfur. Single superphosphate contains about 9% phosphorus and 10.5% sulfur. The phosphorus component of superphosphate may not be needed if soil phosphorus levels are high. Soil needs to be tested to avoid using superphosphate as a costly form of sulfur if there is sufficient phosphorus in the soil. Superphosphate granules are large enough to supply sulfur in a sustained form into spring. If the phosphorus requirement is low, there may be insufficient sulfur by spring in low superphosphate applications. Where superphosphate is suitable, we recommend splitting the application: 3 weeks after pasture has emerged at the start of the growing season in autumn, and in late winter – early spring. The spring application is important for overcoming sulfur deficiency typically occurring after heavy winter rains. This fertiliser is specifically designed for use on leaching sands. The phosphorus is in a sustained release form – available over a full season – making a spring application unnecessary. It contains 8.3% phosphorus and 10% sulfur and because it is granular, the sulfur slowly dissolves from the relatively large particles. It is only suitable for leaching sands. Gypsum contains about 17% sulfur and 21% calcium, and has been used as a cheap and effective sulfur fertiliser for spring application when soil testing indicated there was adequate phosphorus and potassium. It is of little value applied to sandy soils in autumn because it is so fine and the sulfur rapidly leaches. Coarse gypsum is chemically identical to fine gypsum, except in larger particles that dissolve slowly enough to be available in late spring from an autumn dressing. Where additional phosphorus is not needed, and more sulfur is needed, coarse rock gypsum suits sites that are inaccessible in spring. Ammonium sulfate contains 21% nitrogen and 24% sulfur, and is used to supply nitrogen and sulfur to ryegrass-dominant pastures. On sandy soils in wet years, nitrate nitrogen and sulfate sulfur are leached below the roots of ryegrass plants so both can become deficient. Leaching of nitrogen from ammonium fertilisers increases the rate of soil acidification. Monitoring soil pH and having a liming program will prevent the soil becoming too acid. Elemental sulfur is pure sulfur and needs to be oxidised by soil bacteria to the sulfate form for plant uptake. There may be a delay in the first year it is used, if there are insufficient bacteria in the soil or if the size of the particles are too large for the bacteria to oxidise sufficient sulfur for plant growth. It also contributes to acidification of the soil, may cause corrosion of equipment and, because of these issues, it is not commonly used. We encourage livestock managers in the lower south-west of Western Australia to use regular soil testing and consultation with FertCare-accredited advisers to plan profitable and responsible fertiliser use.